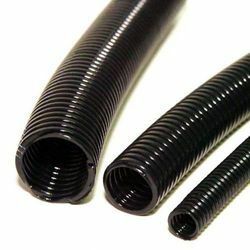 Offering you a complete choice of products which include pvc flexible non toxic hose and pvc conduits flexible pipe. Our PVC Flexible Non-Toxic Hose is made of special Non-Toxic PVC Compound which is safely recommended for conveying food products, beverages, aerated drinks, powdered cereals and their by-products etc. The inside surface of our hose is smooth and it will make cleaning of hose very easy after every use. As the hose is clear transparent, you can make sure that there is no leftover particle of dirt on the inside wall after cleaning. Visible flow. Good resistance to oil and other chemicals. Tough enough to resist distortion under impact and crush loads during service. 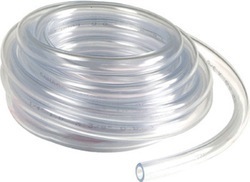 Resistance to absolute vacuum assures ideal suitability for suction and delivery application.